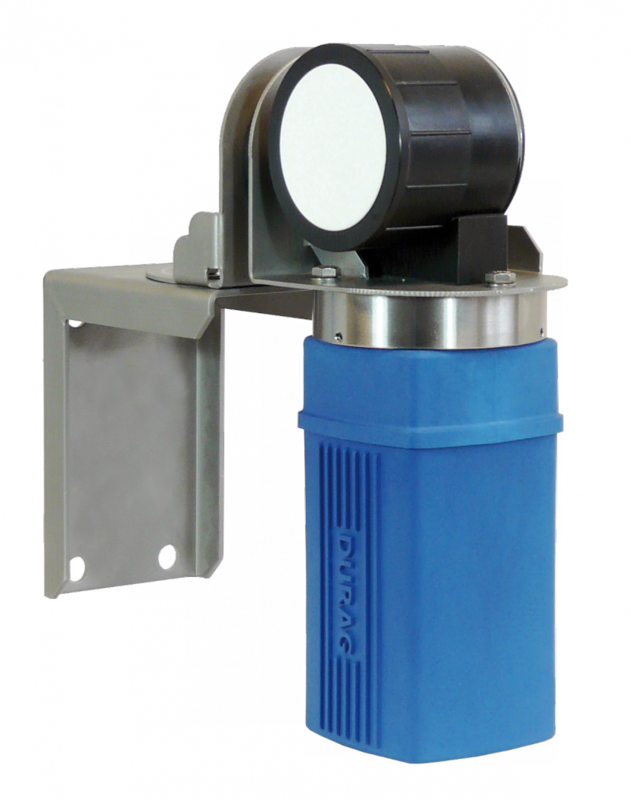 The air flow monitoring system measures the air flow based on different transmission times of ultrasonic pulses sent in one or the other direction. 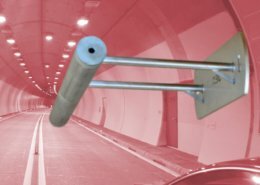 This cross section measurement delivers the average air speed more reliable and meaningful than methods that measure only one or two points on the tunnel wall. 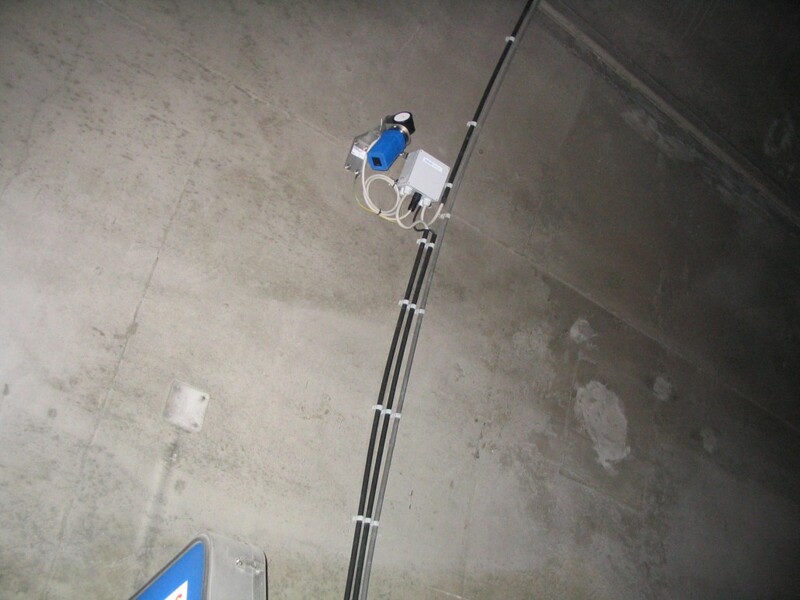 Two sensors are mounted below the tunnel ceiling, cross section with an angle of 30° to 60° (usually 45°) such that a vector component of the air flow overlaps the direction of the ultrasonic sound pulses exchanged by the two sensors. Air flow in the tunnel influences the transition time of the pulses between sender and receiver. Based on the difference in transition times of ultrasonic pulses sent in one or the other direction the measured values are calculated. Measured values are air speed, air flow rate, direction of air flow and air temperature. 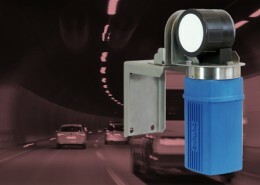 The master sensor is mounted on the tunnel wall and aligned with the slave sensor. 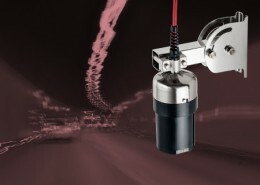 The slave sensor is mounted on the tunnel wall and aligned with the master sensor. 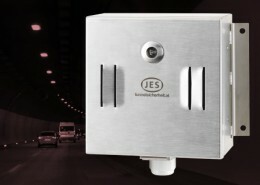 The terminal box for the master connects the system to the power supply, the slave and the tunnel control system. The terminal box of the slave connects the slave to the master sensor. 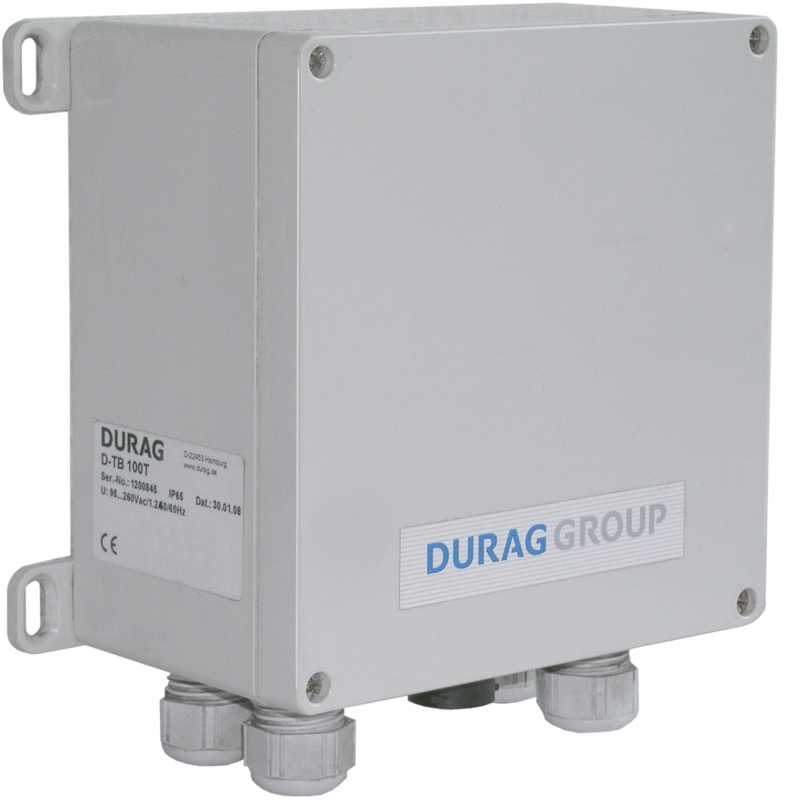 The tunnel control system can be connected via the analogue outputs and relay contacts or via the RS-485 MODBUS RTU interface. A touch operating unit display the measured values and status information. The unit can also be used to configure the sensors. It can connect up to 3 systems.